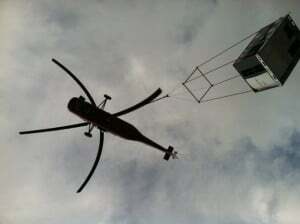 Commercial air conditioning is our specialty. Our team of technicians is the absolute best in the business seasoned veterans with all large commercial HVAC systems…Why? Because we searched the industry for years, similar to how a pro football team searches to draft the best. We are problem solvers for large industrial and commercial building systems. Commercial maintenance contracts, as well as repairing and upgrading of large VAV/ package systems, chiller systems, advanced building controls in the North Texas area is daily work for us. 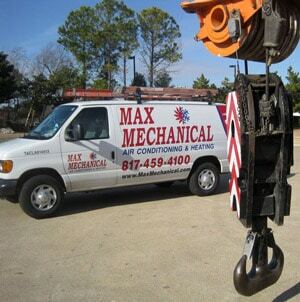 This type of work requires a specific skill set that Max Mechanical has always specialized in. Keep your business cool and energy costs down with commercial air conditioning and refrigeration services from the mechanical contractors at Max Mechanical Air Conditioning & Heating. We proudly service the Dallas-Fort Worth area with superior commercial A/C installations, repairs, compressor replacements, heat exchanger replacements, a/c maintenance and more. From walk-in coolers and chiller systems to cooling towers and new system installation, we can do it all! We are a Christian-based air conditioning contractors that pride itself on customer satisfaction, outstanding warranties and reliable, friendly, skilled technicians with decades of experience. 24-hour emergency service is available, so call us today – we are there when you need us most! Contact Max Mechanical Air Conditioning & Heating today at 817-459-4100 for all of your Arlington, TX commercial HVAC needs.